Are you looking to convert a file from one format to another? Zamzar.com is the place to go. They support over 1,200 file formats and have been in business for over 10 years. We have used Zamzar many times and the conversions are done quickly and cleanly. 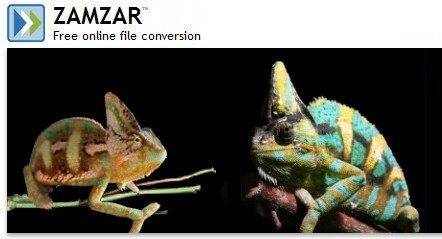 You can use their free account to convert your files or go with the Zamzar API for Developers (reasonably priced). You do not have to download any software, and there are so many formats to choose from to convert your files. If you’ve never been to the site, we recommend you visit and take a look around. Trying to Match a Font?